When I have $0 in expenses for Spouse 1 and 2 in the pre-retirement budget, the report takes the Net Income amount and puts it in the Total Expense amount. In cases where you and your spouse are not yet retired, if there is no budget, the program tries to create a budget based on net income, assuming all funds are spent or saved. expenses = gross income - taxes - annual savings. What does "years of common CPP coverage while married" mean? CPP can be shared between spouses when the pension is paid. The sharing formula is based on the years of common coverage. For example, suppose you are the same age. If you contribute from age 25 to 65 (40 years) and your spouse contributes from age 25 to 55, there are 30 years in common. So only the pension accrued during these common years will be split equally between spouse. 1. For the principal residence, I have entered the same amount for each of us for market value and mortgage. Please confirm this is correct. 2. We both own rental real estate properties. I entered this value, the purchase value, and the mortgages against them in my spouse's data only. Is this ok? Should I divide all the numbers in half and enter for each spouse? 1. You should put a share for each spouse or all under one spouse. The amounts are additive. If your plan provides that your spouse will live longer, you can put the personal residence under her if you never intend to sell. 2. Yes, if she will be taxed on it at disposition for the capital gains. Otherwise, you should split the amounts. Are there templates to assist in gathering data? I can't see to locate any templates for this. The worksheets are inside the help files. Open the Help window, expand the 'Other' menu and click 'Worksheets'. I tried creating two files (for my wife and myself) and requested combined calculations in both files. However when I try and get a report it appears I am doing something wrong. After a calculation I see the projections are using my numbers but the reports I can see either ignore all of my wife's assets. If you select a combined calculation for both spouse, it creates a new file. It does not pick up another file created in the File Manager and make it the spouse file. You enter your spouse's data by selecting to include your spouse in your plan in 'General Information' on the Forecast page. Why is the TSFA not used as income? It accumulates a large balance but there aren't any withdrawals ever from the account. Your TFSA is never required, as the goal is met from RRSPs and LIFs, which require minimum withdrawals during retirement, and non-registered assets, which have a higher withdrawal priority than the TFSA. We entered a $260k mortgage for our rental property. When is this debt paid? The balance of the mortgage is paid in the year of disposition of the rental property. I plan to retire in 2018. Why is the retirement income objective set at about $110,000, when I entered only $50,000 for each spouse? Is this for inflation? Yes, numbers show in nominal dollars, the $110,000 represents $100,000 in today's dollars. If I have a rental property, how can I use RetireWare to determine the right time to sell. Your circumstances , life events and the real estate market will be the deciding factors on when to sell. For modeling purposes, use an approximate year. Selling a few years earlier or later generally will not make a big difference unless you run out of retirement funds. According to the National Oceanic and Atmospheric Administration, the odds of becoming a lightning victim in the United States in any one year is 1 in 700,000. Your odds of winning the jackpot at Lotto 6/49 is 1 in 13,983,816. So you are 20 times more likely to be struck by lightning than winning the jackpot. If you paid $3 for your ticket and the jackpot is $5 Million, your expected gain is $0.36 and your net expected loss for your $3 investment is $2.64. We tend to think that we will almost certainly will never be struck by lightning, while today may just be our lucky day for Lotto 6/49. Getting struck by lightning is a risk with known odds and outcome. If you walk in an open field during a thunderstorm with an umbrella pointing upwards, your odds become considerably higher. Knowing the danger, most of us avoid this risk by staying out of harm's way. There is also a risk of loss with the lottery ticket purchase. The loss is quite small ($3.00), and it may be viewed as a harmless entertainment expense. But the point is that you are trading a small loss for a very unlikely gain that can have a large impact on your life. By definition, a risk carries uncertainty. In exchange for a potential payoff, we take a chance of incurring a loss. Each risk has its own odds and the impact can be small or large if it occurs. When it comes to retirement planning, we must consider that our livelihood will come from invested assets, public and private pensions. We are no longer counting on indefinite and renewable employment income. Examining each of the potential risks can help us make decisions on how we can minimize the odds of running out of money under all potential situations that may unfold in the future. As with lightning and lottery, when assessing risk, we must determine its likelihood and the magnitude of the outcome. Armed with this information we can then decide whether we want to apply techniques to reduce, eliminate, transfer, or retain the risk. The likelihood of a risk is the odds it will happen, and its magnitude is the amount or severity of the loss. 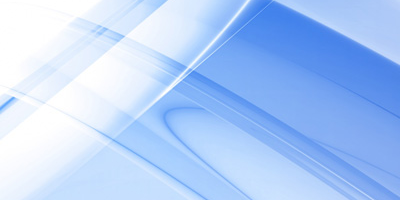 Gauging the impact of an occurrence with stress testing. The risk analysis in RetireWare uses a combination of these approaches, with an emphasis on stress testing. "Longevity: The Underlying Driver of Retirement Risk"
The financial aspect of a successful retirement depends on the level of spending, available capital and sources of guaranteed income to finance expenses over the retirement period. Spending, initial capital and guaranteed income are predictable. Investment returns can be managed to a degree with diversification, conservatism and hedging, but still carry significant uncertainty and can wreck wealth if poor returns prevail at the onset of retirement. Longevity for an individual is completely unpredictable, but life expectancy is rising and this is expected to continue with improvements in lifestyle and medical care. Appropriate levels of spending ultimately depend on the duration over which they apply. This makes longevity in our view the most important factor to which other risk factors are subordinate. A risk cannot be evaluated in a vacuum in the real world. It interacts with other factors and other risks. In other words, more than one adverse risk event can take place at the same time. We developed a mathematical model to assess and quantify exposure to post-retirement risks. An objective function quantifies the success of the retirement plan with respect to each risk under consideration by looking at demographic and economic scenarios where a particular risk occurs and measuring the impact on the retirement budget. The quantification of risk follows a stress testing approach that considers the odds of each economic and demographic scenario, and the set reproduces all possibilities to closely match the expected outcome and volatility used for the model. 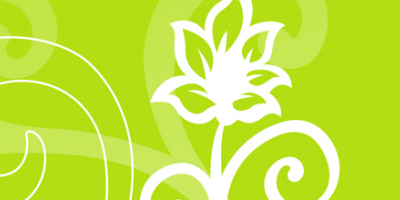 Risks under consideration are: longevity, market, inflation, sequence of returns, long-term care and loss of spouse. For each risk, the risk success value depends on the degree to which expenses are covered where the risk occurs in a subset of the economic and demographic scenarios. Scenarios combine different end points of life expectancy and economic environment for equities, bonds, interest rates and inflation. Each scenario applies to one or more risks. The success measure is based on the present value of the shortfall of assets required to meet retirement income goals. The degree of success values for each risk is an average of the results obtained for the applicable scenario subset. Results are rated on a scale from 0% to 100%, with 100% being the perfect rating, where the risk is completely managed. Based on the individual’s retirement financial needs and aspirations, each risk's index value evaluates how the risk is managed. Taken together, the risk measures provide an overall evaluation of the current post-retirement risk strategies in place and highlights areas of weakness that need to be addressed. Two other measures complement the risk analysis results: the expected estate compared to the estate objective goals and the degree to which sources of lifetime income covers essential and discretionary expenses. The income coverage measurement provides information on "income coverage" and "essential expenses coverage". If there is a detailed budget, the results include the average percentage that sources of lifetime income (annuities, Government and private pensions) are able to cover the retirement income goal. For example, if the goal is $50,000 per year and lifetime income sources are at $20,000 on average, the income coverage is 40%. Risk analysis results and management plans should be updated periodically to evaluate whether risk levels have changed or whether the strategies in place are still effective. Researchers at Liverpool Victoria, a UK insurance company, recently assessed the cost of a "happy retirement" at nearly $400,000. Their estimate is for maintaining a fairly ordinary standard of living consisting of essential living costs plus the cost of the "pursuit of happiness". The calculation assumes a retirement age of 65 and lifestyle expenses lasting for the remaining life expectancy of 17 years. The cost estimate represents funds required in addition to the average state pension payable in the UK. What is unique about their research is that they conducted a survey to find out what people close to retiring consider necessary to feel content in retirement. Convenient transportation and walking distance to amenities. I suspect we Canadians are not so different. Many of these items are at no cost, but others come with a price tag. While the research focused on the "bare bone" cost of happiness, many will find that they need far more to achieve contentment in retirement. For example, holidays are to be frequent and long, hobbies numerous and expensive (golf, cottage, boating, etc...). Sadly, the survey found that 8% of pre-retirees had no retirement funds whatsoever and almost 30% would fall short of their pursuit. Of those with retirement funds, over a quarter didn't know how much income to expect. For many, the true shortfall in their pension will not become apparent until they are ready to retire. What is your list of ingredients to be content in retirement? Drawing up your own list will make it easier to build your post-retirement budget. Planning retirement is not only about figuring out how to keep the lights on and put food on the table, it's also about figuring out the price tag of retirement happiness! It may be far away in the future and something we'd prefer not to think about, but increasing life expectancy comes with an unfortunate side effect: not only will we live longer, but we also will live longer in poor health. The long-term care (LTC) risk is the risk of requiring an increased need for assisted care because of declining health in old age. It is hard to predict for individuals and even harder to predict far into the future. According to American Association of Retired Persons, the odds of needing nursing home care or assistance with daily living activities 65%. In light of this, there is a good chance that most of us will need long-term care services, and an even greater chance that one spouse in a couple will need it. Accordingly, a financial plan should cover future long-term care needs. Knowing what options are available will help you decide on the most suitable approach to manage this risk for your circumstances. Provincial health insurance in Canada pays for hospital stays and doctor care, but there is limited availability of custodial care for a long-term disability or illness. With the ageing of our population and increasing health care costs, we can expect that more services will be privatized. This means the burden to pay for these costs are mostly for the individual. The table below will give you a sense of monthly costs of care by province. On average, a 65-year-old today will need some type of long-term care services for three years, according to the National Clearinghouse for Long Term Care Information in the United States. Women need care an average of 3.7 years, and men require long-term care an average of 2.2 years. If you spend your own funds to pay for long-term care, your assets will go down quickly. This is why transferring the risk to an insurer may make sense. Long-term care insurance provides financial protection if you become unable to care for yourself because of an illness, disability or cognitive impairment such as dementia. It covers stays in a nursing home or the services of a caregiver in your home. The longer you wait, the harder it is to get coverage. This is because when you apply in later life, you risk being in poor health and that means higher premiums or making you uninsurable. According to the American Association for Long-Term Care, Alzheimer’s is the most frequent cause of claims over age 65, and they are the longest and most expensive claims. The cost of LTC insurance depends not only on health history but also on the choice of insurer. Premiums can rise over time, but increases are never based on new personal medical issues. LTC insurance has limits on the total amount of claims. Many plans also have deductibles, meaning you will have to pay out a certain amount for care before coverage kicks in. And if your medical needs exceed those amounts, you will have to pay the balance. When reviewing your application, the insurance company will take into account several factors to determine eligibility and the premium amount, especially health status and age at the time of application. Shopping around is difficult because the many features that come with different policies. Other than age and health, three factors have the biggest impact on determining the premium are the type and amount of coverage, specifically the daily benefit, length of coverage, and inflation protection. There are two types of plans: one that provides reimbursements for eligible expenses such as homemaking or private nursing services, up to a pre-determined maximum. The other type provides a pre-determined monthly benefit amount. Most plans include a waiting period: once eligible for benefits, payments only start after a specified period of time such as 90 days. Adding an inflation protection rider. The last item, inflation protection, may be the most crucial aspect of the policy. With typical claims occurring typically at an advanced age, say in the eighties, a policy purchased at age 60 would lose much of its value without inflation protection. This is made more acute with health care inflation having been higher than general inflation in the last several years. There is a good chance this trend will continue. Benefits are typically paid when you can no longer perform a essential activities of daily living without substantial assistance, such as bathing, dressing, mobility, maintaining continence or eating. Long-term-care insurance can make the difference between living out your life the way you want and becoming a burden to your family or depending on the state. But it is becoming significantly more expensive and harder to get LTC insurance. Average premiums on new policies have risen significantly and some insurers are no longer selling these policies. This is because of low interest rates, increased life expectancies and increasing size of claims. If the cost of insurance is too high, consider reducing coverage to an affordable level and rely on other savings to supplement it. For many people, long-term care insurance is simply out of reach. If you have assets to protect, you should carefully review your financial situation to determine that you can self-insure. Self-insuring might work if there are plenty of assets. If you're not in this situation, you'll need to determine how much income will be available during retirement -- income from registered and non-registered accounts, and public and private pensions -- and evaluate how much income is required to maintain your lifestyle. desire. Doing a budget works best, as it accounts for all expenses with precision, including medical costs. This thorough review will help determining whether you have enough left over for long-term care. If you already have or can get whole life insurance, it may serve as a source of funds down the road. This type of policy allows loans against the cash surrender value and this can help to cover long-term care expenses. The appeal of this approach is that your heirs get a payout if you don't use the cash surrender value for long-term care expenses. It’s not too late to reduce our risk of major health problems by lifestyle changes involving diet, exercise, smoking, etc. Here are a couple of interesting videos that provide strategies to improve our chances of living a healthy lifestyle. Dr. Esselstyn, famous for his central appearance in the widely successful documentary 'Forks over Knives' and who helped inspire President Bill Clinton to go on a plant-based diet, speaks in this video on the topic of 'Prevent and Reverse Heart Disease'. In "More Than an Apple a Day: Combating Common Diseases", Dr. Michael Greger has scoured the world’s scholarly literature on clinical nutrition and developed this live presentation on the latest in cutting-edge research on how a healthy diet can affect some of our most common medical conditions. Dr. Greger is a very entertaining speaker with a great sense of humour and the timing of a stand-up comic! I'm trying to enter a pension into one of my files; however, I'm not clear on how to do so. If someone has a $2,000/month pension, what do I put into lifetime pension payable at age 65? If it is a pension that will not grow from future years of service, enter it as a 'Pension from a former Employer'. In your case, you would enter Bridge as 0 (assuming no temporary bridging pension from the plan) and Lifetime pension at 65 as $24,000. If there are future accruals, enter as a 'Pension from a Current Employer', you would enter $24,000 if this is the amount payable at age 65 based on service to date, and the program will calculate future pension accruals based on expected future service (at the age of termination from the plan or retirement). In both cases, it will apply an early retirement pension reduction by selecting the appropriate early retirement rules in the program. 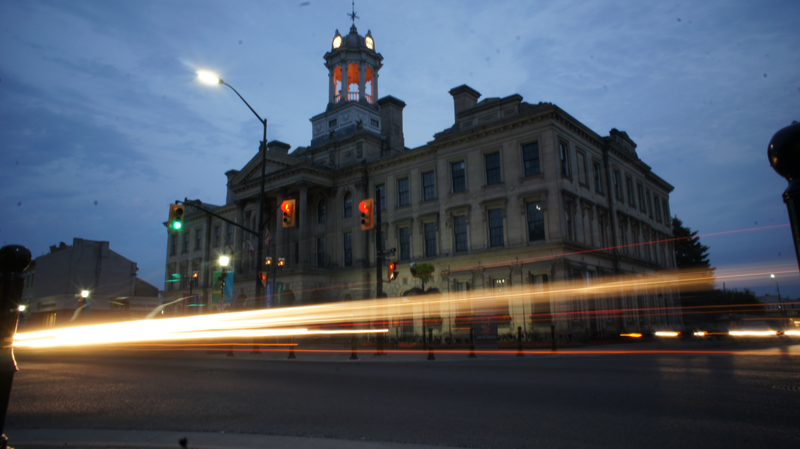 The software appears not to allow for savings to be allocated to TFSA after retirement date. Is there a way to grow my TFSA account after retirement? In Pre-retirement Budget, on the 'Budget Information' tab, to enter TFSA balances for a purpose other than retirement. The interest rate risk is the risk of low earnings or reduced market value of a portfolio due to low future interest rates. Lower income on guaranteed income certificates and bonds. At maturity, capital reinvested earns a lower rate. Need to save more to have sufficient funds to provide adequate retirement income. Annuities provide lower income when long-term interest rates are low at the time of purchase. Strictly speaking, the interest rate risk applies to risk-free investments, such as Treasury bills, which are issued and guaranteed by Governments. This blog post expands this definition and discusses the risk of earning low returns on all types of fixed income investing, including bonds. Stuck with low interest rates? Low interest rates have been part of the economic landscape for many years, in part because of declining inflation over the last 20 years, and have been kept low to overcome the housing debacle in the United States. Having the economy churning with artificially low interest rates negatively impacts pensions, annuities and retirement savings. The Bank of Canada cannot increase interest rates independently from the US without consequences. Higher rates in Canada will lead to inflow of investment, which in turns will strengthen the currency and adversely impact central Canada manufacturing and exports. The only option for Canada may be to move rates in tandem with the US. Are higher interest rates desirable? It may seem to make retirement more affordable and secure, however, higher rates usually means higher inflation, which makes purchases of goods and services more expensive. It also increases the burden for those who carry mortgage and other debts. If interest rates rise in the future, it will cause the value of bonds to fall. Interest rates and bond prices move in opposite directions. When interest rates fall, the value of bonds rise. Interest rates have been falling for a long time, which is why bond performance has been strong. When rates start to rise, bonds performance will inevitably suffer. Long-term Government bonds have no credit risk, but they have a significant interest rate risk. A rise of 1% may cause long-term bonds to lose as much as10% of their value. Interest rate risk can be quantified by looking at the "duration" of bond. Duration is a measure of the sensitivity of the price (the value of principal) of a fixed-income investment to a change in interest rates. It is expressed in terms of years. The sensitivity depends on the bond's time to maturity and its coupon rate. By ensuring the duration of your entire portfolio is kept at a reasonable level, you are reducing your exposure to the interest rate risk. 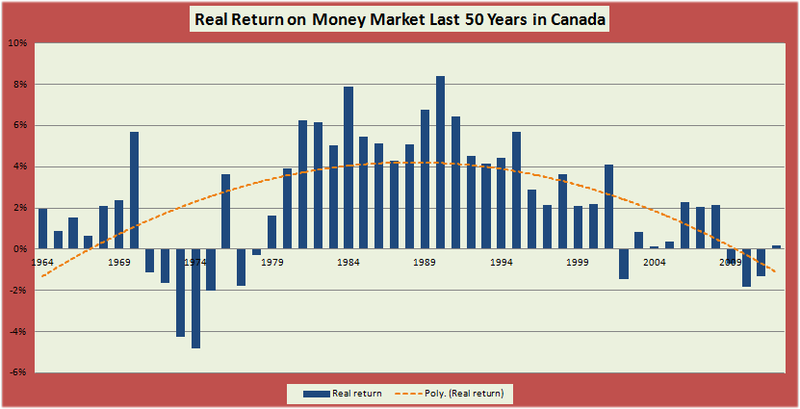 It is "interesting" to look at money market returns over the last 50 years in Canada in light of inflation. Interest rates often move up or down at about the same rate as inflation. The 1980s and 1990s saw a prolonged streak of high real rates of returns (the difference between the nominal rate of return and the rate of inflation). But it has been succeeded in the last decade by zero or negative real rates of returns, and we may expect that the "new normal" will be an epoch of returns that barely exceed the rate of inflation, i.e., zero real returns for the foreseeable future. Are there strategies to help investors earn more on their cash and fixed income investments? With bond yields are at their lowest point in modern history, they don't earn sufficient returns to fund retirement needs. Corporate bonds provide higher returns, but are more volatile and have a risk of default. Nevertheless, high quality issues and diversification make corporate bonds a viable option. In order to generate adequate returns, equities must continue to be part of the mix during retirement. Minimizing volatility is achieved by investing in a diversified portfolio with emphasis on large capitalization and value. As the economy improves, inflation will begin to increase. To keep inflation in check, central banks will increase interest rates to slow growth. When rates do rise, the value of bonds will fall. Bonds serve not only as a source of income but also as a way to lower the volatility of the portion of the portfolio that has equities. Many recommend reducing exposure to equities at retirement. This is because time horizon shortens and the ability to make up losses is reduced. Risk appetite is lower, after all, if retirement is to be worry-free. As well, one or more years of poor returns may lead to a serious depletion of the portfolio when taking withdrawals (the sequence of returns risk). So we may think eliminating equities altogether may be the best approach, but it may actually make your portfolio more volatile. 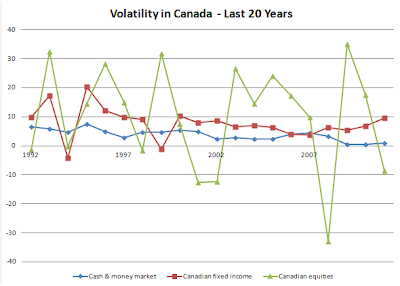 More volatility means more risk, investment risk to be precise. Keeping exposure to equities will help boost investment returns, while reducing volatility. Stocks are more volatile, but they have low correlation to bonds. The combined asset classes can produce higher returns while reducing volatility, because stocks do not move in tandem with bonds. The overall effect reduces the volatility of the portfolio. Interest is taxed as income. It may be sensible to hold interest-bearing investments first in a tax-free savings account (TFSA) to avoid any taxation of investment income, then in a registered retirement savings plan (RRSP) to defer income tax to a time when you are in a lower tax bracket. Non-registered accounts are more appropriate for equities, as capital gains enjoy favoured tax rates and capital losses can be used to offset capital gains. If you hold part or all of your interest-bearing investments in a money market fund, pay special attention to fees. With current low or negative real returns on such investments, fees can wipe out return or make you lose capital in real terms. A ladder is a series of bonds that mature in succession, providing both yield and a steady stream of principal repayments as the bonds mature. It offers some protection against rising interest rates, because lower-yielding bonds can be reinvested into higher-yielding ones as they mature. Bond ladders require significant investments to achieve proper diversification, but there are exchange-traded funds that simulate a bond ladder and can be purchased in any quantity. Keeping up with inflation while taking little risk can be also be achieved by holding real return bonds. Real return bonds are Government issues that pay interest based on a formula linked to the current rate of inflation. There are real return ETFs and also funds, although the latter category may come with higher fees that can erode signficantly your returns. High-yield corporate bonds could provide decent returns even if rates rise moderately, because rising interest rates would occur if economic conditions are stronger, lowering the chances of default for such bonds. Income annuities provide retirees with a guaranteed fixed income, despite changes in the interest rate environment. Prevailing interest rates will determine the amount of annuity payout that can be purchased from a given lump sum. Low interest rates have caused annuity premiums to increase. You can gauge the value of your annuity purchase by dividing the premium by the annual income. If it costs $200,000 to provide $10,000 per year for example, it will take 20 years to get back you premium. The higher this number, the better. A higher number shows the value you get from pooling mortality risks and investment income on your funds beyond your life expectancy. It's difficult to predict the future direction of interest rates. This is why it may be a good idea to buy annuities in stages to take advantage of better premium rates if rates do increase. Nevertheless, making annuities as part of your retirement income mix will provide a basic layer of lifetime income together with the Canada Pension Plan and Old Age Security that you can count on regardless of economic conditions. Currently, interest rates on both short and long-term instruments are low. In this environment, expect lower investment returns if a significant portion of your assets are in cash and fixed income. This means more savings are required to fund your retirement, or you must plan for less if you can't add to your nest egg. It seems the program may be treating withdrawals from a TFSA as "income" for purposes of the OAS "clawback" test. No, TFSA investment income is never included in taxable income. The OAS clawback is based on all income plus realized investment income. Investment income for the year shows on the cash flow table. The portion that is interest, dividends is taxed. But there is also realized income based on the selected 'Percentage of gains realized annually' in 'Economic Outlook' on the 'Forecast' page. For example, assume all your non-registered assets are in fixed income that has a cost base of $250,000, a market value of $300,000 and you earn 4% per year. Your market value is $312,000 at the end of the year, with interest of $12,000. If you sell and reinvest 20% of your portfolio each year, you will sell $60,000 of bonds and have a realized gain of $10,000. This amount is added to income to figure out the tax payable and assigned to the non-registered account. This in turn affects the clawback on Old Age Security. By default, this portfolio "churning" is 20%. You can control this (and set it to 0%) in the 'Advanced' section on the 'Economic Outlook' tab on the 'Forecast page'. When I run the simulation with the expected contribution years for the Canada Pension Plan, the results show a blank column for the CPP in the cash flow forecast. If you are retired and want to use a CPP based on contribution years, you must supply annual income in 'Financial Information'. In such a case, the annual earnings will only be used to estimate the CPP. Otherwise, the program has no way to calculate an estimate. When I run a Monte Carlo simulation, I get 92% success odds, but the assets at retirement show a shortfall. Each capital market simulation looks at whether you have enough funds and income to pay your expenses for the rest of your life. Suppose you have enough each year of retirement except that during the very last year at age 90 you are short by $10,000. I would consider this a success even though you are technically short by a small amount. After all, your selection of life expectancy is a best guess, or better, a safe guess. There is an option in the Monte Carlo settings that allows you to count cases with small shortfalls as a success. You can modify the setting to only consider cases that have no shortfall, or select the amount you think is reasonable for your purposes. If this does not explain your issue, I can have a look at your calculation if you give me permission to review your file. In 'Economic Outlook', what’s the difference between the Annual Expected Return and Dividend Yield in the “Economic Basis for Projections"? For example if I input 3% for Equities – Canada and an expected Dividend Yield of 3% does that mean a total expected annual return of 6%? The dividend yield will apply to assets invested in equities based on the asset allocation model in 'Asset Mix for Projections' (on the Options page). The dividend yield is on top of the appreciation of assets for each class of equities. 1) The software seems to ignore the post retirement budget data I’ve entered for my wife and I. The budget statement is empty. 2) Can the interest rates be adjusted by the user or are they fixed. 1. Have you selected both of your retirement income goals to be based on expenses in 'Retirement Income Target' in the Forecast page? Also, if you're not retired, the budget statement will be a pre-retirement budget. The post-retirement budget will show in the statement if you are currently retired. 2. If you have the DIY version, you can adjust the all rates and investment returns, and have expanded results with Monte Carlo simulations and risk analysis. In order to add a little subtlety, I did not name this post "Death of a Spouse", but this is one of our post-retirement risks to plan for and manage: the risk of one spouse dying unexpectedly a few years into retirement. We will look at ways to address this post-retirement challenge and prepare for the adverse financial consequences caused by the death of a spouse. Life expectancy tables tell us that women live longer than men on average. Life expectancy at birth in Canada in 2009 was 78.8 years for men and 83.3 years for women. The gap between men and women has narrowed over time from 7.4 years in 1979 to just 4.5 years in 2009. However, for a couple, it is very hard to predict which spouse will live longer. For more on life expectancy, read this blog post. There are two cases to plan for: you die first and your spouse dies before you. Thinking that that the typically older male will pass away before a younger female spouse may leave him in a precarious position if the other possibility actually happens and no planning around it took place. You have to look at the consequences of the early death for each spouse. How will each surviving spouse do, considering the many years he or she may live? Estimate the impact of one spouse's death on your post-retirement budget. In many cases, total expenses may reduce by as much as 25%, considering that while many costs such as housing, property taxes and transportation remain unchanged, others such as health care and personal expenses may reduce by half. If the surviving spouse's budget reduces significantly and combined assets remain untouched, then it will have a positive impact on financial security. Determine which income sources will be lost or reduced (such as CPP) when each spouse dies, and how any shortfall can be met going forward if required. Downsizing and relocating are always options to consider to keep living costs in line with what you can afford. Smaller dwellings are also less work and cost less to maintain. If this make sense for you, you can assume in your planning that there will be a change in housing to less expensive dwellings. This will free up funds to invest and use for future retirement income. If you make a budget, differentiate between essential and discretionary expenses. Ensure you have enough guaranteed income to meet your budget for essential expenses whether one or both of you are alive. If you have a defined benefit pension plan, do not take a lump sum option when retiring or leaving your employment; only consider it if you are a long way from retirement. Select a "joint and last survivor" pension option at retirement. The lifetime income it will provide to your spouse is well worth the reduction applied to the pension. The surviving spouse will become eligible to the deceased spouse's Canada Pension Plan survivor pension, which is 50% of the amount that was payable while alive. If you can afford to start the CPP (or a defined benefit pension) at a later age, the pension payable to you will be higher, and so will be the survivor pension. Knowing the percentages of the initial pension payable to the survivor, you can assess if continuing income together with other available retirement funds are able to cover expenses for each surviving spouse. If you are insurable, having the right amount of life insurance is essential to ensure that neither suffers a financial setback. You can set up a policy to pay the face amount on either, the first, or the last death. Insurance will be useful to cover any shortfall that may occur from lost income or assets after the death of one spouse. Having a will is a must to smooth out and speed up the transition at this difficult time. It can also minimize income tax to ensure assets are transferred efficiently to the other spouse. Consider purchasing a joint annuity with a portion of your retirement savings. 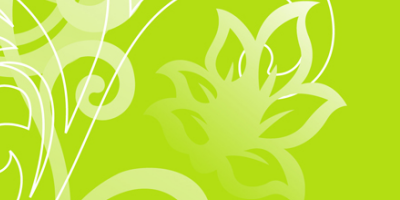 A joint and last survivor annuity will provide a survivor income to your spouse on death. Annuitizing is also an option to consider for funds in a defined contribution pension plan or group RRSP at retirement. Here are a few strategies to increase the likelihood of leaving more funds on the table to pay ongoing expenses for the remainder of the surviving spouse's life. Spend conservatively during the first few years of retirement and minimize your withdrawals. If you earn poor returns, low withdrawals will not deplete your assets as much and you'll be left with more money for the rest of your lives. Get knowledgeable about investing or get a professional to do this for you to maximize your investment returns. Your should take on just enough risk to earn a decent return, while staying comfortable with your investment strategy. 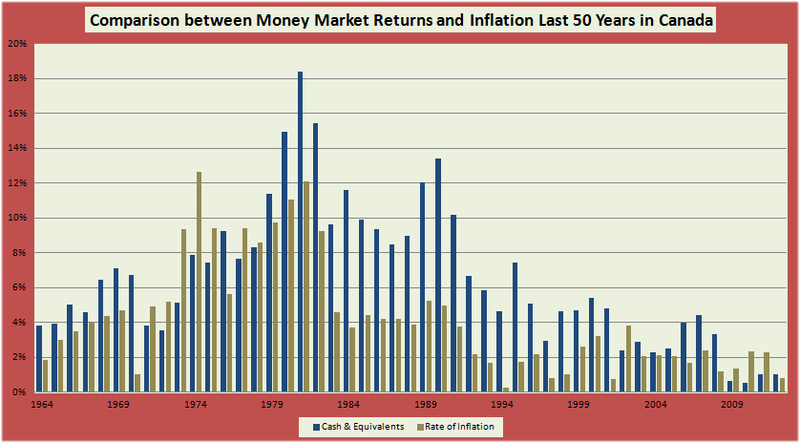 Savings accounts and money market funds earn less than the rate of inflation. So you are essentially losing money with these ultra safe investments. You can search Google for "Service Canada Following a Death" and you will find a helpful page on the Service Canada Website that shows you want to do to obtain a death certificate, cancel pension and benefits, Old Age Security, the Canada Pension Plan and tax-related payments. It also points you to benefits you may be eligible to receive, such as survivor and death benefits and provides information on important financial matters to consider. Organize and gather personal records: birth and marriage certificates, certified copies of the death certificate. This will be required to establish ownership of the accounts and prove you are entitled to receive benefits. Gather life insurance policies, investment account numbers, existing will, income tax and employee benefits information. Assess your financial situation by looking at total income and expenses, assets and liabilities, and insurance coverage. File claims with insurance companies for individual life insurance policies, accidental death and dismemberment policies, travel, mortgage and credit life insurance policies. Apply for the CPP death benefit of $2,500 and survivor pension. You also are eligible to transfer the balance in a RRSP or RRIF to your own account tax-free. Make sure you have enough cash to meet your current expenses as well as funeral costs. If you receive life insurance proceeds, use these funds to increase your cash reserves. Try to have at least six months' worth of living expenses in a bank account or money market fund. You should put your name as the sole owner for real estate, vehicles and joint bank accounts. Write a new will. Also look into a power of attorney for legal matters and health care in case you are unable to make your own decisions. Probate is the legal process an estate goes through after a person's death. The process and requirements of probate differ for each province. Steps include confirming the legal status of the executor, notifying creditors and beneficiaries, settling the estate's debts and taxes, and finally transferring assets to beneficiaries and heirs. Planning your retirement includes ongoing monitoring and making changes in light of changing circumstances. As well, maintaining an updated retirement plan will make it easier to make the transition from a financial standpoint when it happens. Stock market risk is the risk of the decrease in the market value of an investment. In contrast to the sequence of returns risk, the risk that a market downturn reduces the capital base near the time of retirement, stock market risk is a period of poor performance in the stock market that results in investment returns lower than expected. In both cases, the portfolio runs out of money sooner than expected, leaving little or no funds to pay living expenses. One measure of riskiness of a stock or portfolio is volatility -- how much the value deviates from its average over time. In statistical terms, it's the "standard deviation". of a security over a number of years. The standard deviation gives a clue to the extent of the fluctuations for the security above and below its average. The more wildly a portfolio fluctuates, the more likely the odds that it can irreversably deplete your assets. In the stock market, there is a strong relationship between risk and return. In general, the greater the risk, the greater the return. Based on past volatility and the lack of guarantee of any equity investment, investors expect to be compensated duly for taking a greater level of risk. This compensation is called the risk premium. Risk is therefore central to stock markets or investing because without risk there can be no gains. You need risk management strategies to minimize the risk and maximize the gain and meet your invetment return objectives. In financial markets there are two major types of risk: the market risk and the specific risk. Market risk cannot be eliminated through diversification, though it can be hedged. Specific risk is tied directly to the performance of a particular security and can be protected against through investment diversification. Sources of market risk include recessions, political turmoil, changes in interest rates and natural disasters. There are a few strategies that you can use to mitigate the stock market risk. Diversification irons out risks in a portfolio. Investing in a wide variety of stocks reduces risk compared to a poorly diversified portfolio. Diversification works if the securities in your portfolio are not perfectly correlated. When one asset or sector is faring poorly, the gains on other assets can make up for this loss. Lack of diversification can give rise to a liquidity risk if significant assets are held in stocks that are traded in low volumes and they cannot be sold in a timely manner. The percentage of assets held in equities should be in line with your risk tolerance level, time horizon and financial goals. Even with a low tolerance, there is a need to maintain a share of assets in equities to boost potential investment returns. Common stocks have historically outperformed other investments over time, and are a necessary component of your portfolio. You will experience low or negative investment returns on your stock returns from time to time. While these losses are painful, recoveries from market declines have been surprisingly quick in recent times. Selling to prevent losses from getting worse means that you may miss a recovery that boosts your account value. Holding good companies that are trading at a lower value are only a paper loss. In other words, you should follow the trend of the market and recognize that short term trends are "noise" and what really matters are long term trends. However, it is also possible that you will experience a long period of stock market losses. So as you get older, you should be careful to limit your stock market exposure and gradually reduce it to a level that cannot adversely impact your financial security. A related approach to diversification is holding investments that have a low correlation or are negatively correlated to each other. This is less effective today as markets across the world tend to be highly correlated and stocks and bonds have a low correlation. If performance is lower than expected, then lowering spending may be the only option if a phased or postponed retirement is not possible. There are ways to transfer the stock market risk. 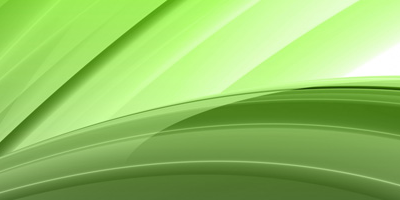 A annuity is an obvious solution, but the income it provides may create issues for managing other risks, such as the long-term care risk (insufficient income to pay rising health care costs) and inflation risk (if the annuity income does not have automatic increases to maintain purchasing power). Inflation and annuities are discussed in greater detail in this blog post. The stock market risk can also be removed by investing in financial products that hold stocks, but guarantee against the loss of principal, such as segregated funds or index-linked notes. Again, fees and loss of liquidity have to be carefully considered when assessing the benefits of these investments. With low economic growth, high government debt and low interest rates, many have a pessimistic view for the stock markets. What can we expect when formulating expectations for future stock returns? Vanguard Research published an excellent study entitled "Forecasting stock returns: What signals matter, and what do they say now?" (October 2012). The Vanguard research looked at U.S. stock returns since 1926 to assess the predictive power of more than a dozen metrics. They found that many commonly cited metrics have had very weak and erratic correlations with actual subsequent returns, even at long investment horizons. Their research has shown that forecasting stock returns is difficult for the long-term and impossible in the short term. Over a long time horizons, few metrics have predictive ability. While valuations (price/earnings ratios) have been the most useful measure, they have performed modestly, leaving nearly 60% of the variation in long-term returns unexplained. The study indicates that using the current valuation metrics points to a positive outlook for the stock market over the next ten years. However, it cautions that investing must account for the fact that the future is difficult to predict, meaning that investors should not rely on point forecasts from a forecasting model but instead turn their attention to the distribution of potential future outcomes. "A focus on the distribution of possible outcomes highlights the benefits and trade-offs of changing a stock allocation: Stocks have a higher average expected return than many less-risky asset classes, but with a much wider distribution, or level of risk. Diversifying equities with an allocation to fixed income assets can be an attractive option for those investors interested in mitigating the tails in this wide distribution, and thereby treating the future with the humility it deserves." A study by Russell Investments entitled "Adaptive Investing: A responsive approach to managing retirement assets" suggests that the risk to manage is running out of money, not volatility. 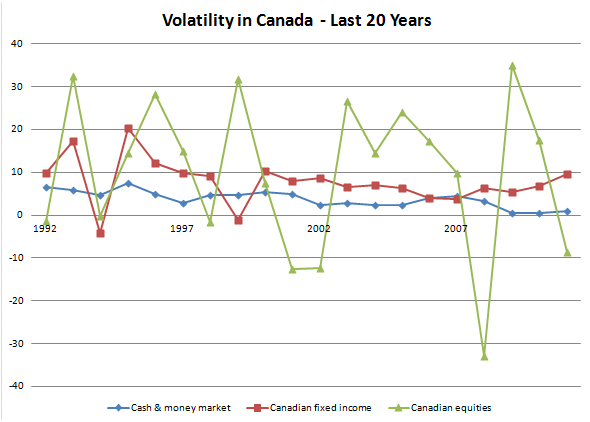 It is possible that a higher volatility portfolio could actually reduce the chance of an investor running out of money. The authors suggest planning for 10 years at a time and plan to have enough money to purchase an annuity at the end of the ten year period. The portfolio must supply cash flows for an uncertain period, we may not live as long as expected, or live much longer. So it is impossible to have a plan that is cast in stone forever. The plan must be flexible enough to account for changes in circumstances such as health, expenses, interests and marital status. This can be achieved by having a retirement plan that is monitored and revised periodically. By modeling retirement cash flows, we can see evaluate the risk of a shortfall. Funded ratio: the ratio of assets over liabilities; it shows whether assets exceed the value of liabilities today. Probability of success: the probability that assets will be greater than liabilities at a future date. Magnitude of failure (or expected surplus): the average size of the shortfall (or excess) at the end of ten years in unsuccessful scenarios. If adequately funded, i.e. a funded ratio around 100%, you can test to see if an increase in exposure to equity risk improves the funded ratio. If the plan is underfunded, i.e. a funded ratio lower than 100%, the investor has a lower capacity for market risk. It then becomes a gamble to shoot for higher short-term investment returns by taking more risk. However, if an underfunded plan has a significant probability of success, then increasing market risk could be a good strategy. But if the probability is lower, the optimal approach may be revising the spending plan rather than counting on strong returns. Lowering planned spending will immediately reduce the liabilities of the plan and improve the funded ratio. I have completed entering data for my wife & myself. The data includes selling the principal residence and using a portion of the capital for future income. However the program results ignore that instruction. Principal residence value continues unchanged and cash flow goes negative. Ensure that you selected 'Personal Residence' as a Source of Income' on the Options page. The same applies for the sale of another property, business or other future assets. Is there a way to see the cash flow for the asset and income in a table format? There are links in the last part of each of the Accumulations, Income Forecast and Savings tabs in the View results page. The links open a pop up window that display the full cash flow. Does the software take into account defined benefit plans and post retirement income splitting? 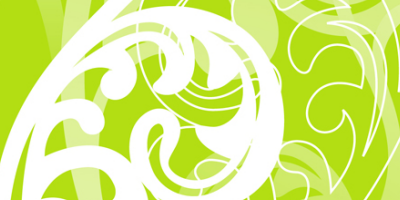 Yes, you can enter in the 'Pensions' page a current or past defined benefit pension plan. There is an option for splitting pension income, and if selected the program will apply the splitting in the years it is advantageous to do so. Can the rates of returns be adjusted by the user or are they fixed? If you have the professional or DIY version, you can modify the rates and have your own forecast. Otherwise, the RetireWare defaults will apply. Does this software comply with IIROC Guidelines? A review of IIROC's Guidance Note 11-0349 "Guidelines for the review, supervision and retention of advertisements, sales literature and correspondence" indicates that it is not in breach of the policy. However, you may want to ask your compliance department. If you do, give a link to this blog post for background. 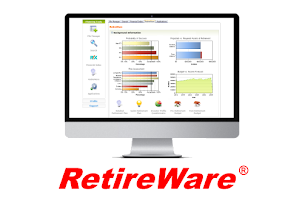 RetireWare a Web-based risk management and retirement planning collaborative software for advisors designed to build referral networks using social media. The software provides an assessment for the main post-retirement risks: market, longevity, inflation, health care costs and early death and others. It also integrates in the analysis an investor risk profile questionnaire, budget and net worth statement and detailed retirement goal setting. All results are based on accurate income tax calculations, OAS clawback and income splitting between spouses. I am retired and the software seems to ignore the post retirement budget data I’ve entered for my wife and I. The budget statement is empty. There are two budgets: pre-retirement and post-retirement. The budget that applies in your case is the post-retirement budget. Since you're retired, the post-retirement will show as the budget; if you're not retired, the pre-retirement will show in the results. Ensure the retirement income goal is "based on expenses", otherwise it will not use the post-retirement budget as the retirement income goal. I have entered all information into an advanced retirement plan and the only result that shows up under “View” is one chart. There is no Monte Carlo, risk analysis, accumulations, income forecast, etc. For a few users who use Internet Explorer 9 (and sometimes the recent version of Firefox (19.x), the 'View' or 'Review' page sows as incomplete. You can fix this by clicking the 'compatibility icon' in the address bar. When clicking the 'compatibility icon', after a few seconds the page redisplays along with all the tabs and button functionality. 1. If the page does not completely load, try refreshing the page (you can hit the F5 key on your keyboard, or click the refresh icon in the address bar of your browser). 2. Use Google Chrome, which does not have these issues. What is the inflation risk? The inflation risk is the possibility that the value of your retirement income loses part of its purchasing power. For instance, if the annual rate of inflation is 2.5%, this means that what costs $10.00 this year will cost $10.25 next year. It may not seem like much, but even a modest rate of inflation can affect your lifestyle significantly over time. At this rate, goods and services that are $10.00 today will cost $16.40 in 20 years. That's a 64% increase! Inflation leads to a reduction in the value of money. If you receive the same income in the future, inflated dollars make all goods more expensive and you need more money to purchase the same goods. It also means that if you want to maintain your lifestyle, you'll need to plan for income that increases each by the rate of inflation. 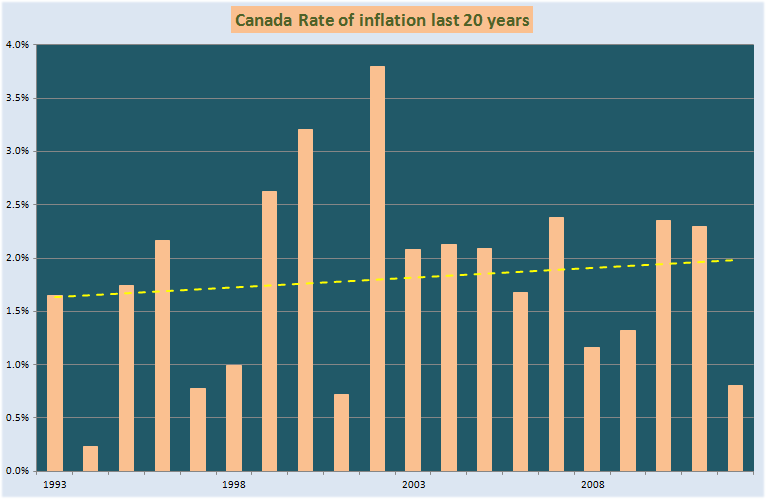 The inflation rate is the year-over-year increase in the total consumer price index (CPI) — the most relevant measure of the cost of living for most Canadians. The CPI measures the cost of a typical basket of goods and services. There are regional variations: inflation will tend to be higher in urban centers and remote areas, and differs among provinces. Each of us experiences inflation differently, based on our geographical location, demographics and types of expenses incurred. In particular, as we age, we tend to have more health care-related expenses, and these have been increasing at a higher rate. Some estimates have healthcare costs rising 4% in real terms (that is to say, over and above the annual inflation rate). 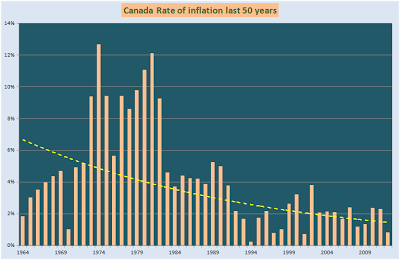 In order to figure what's in store for the future, we can look at the historical rate of inflation. There were two great spikes in the inflation rate in the twentieth century: World War I and World War II. This is not surprising, as Governments ran record deficits to fund war efforts. Although more modest, there was a third spike in inflation in the late seventies and early eighties, explained by oil-producing countries boosting the price of crude oil plus a combination of poor fiscal and monetary policies. The consensus among economists is that inflation is a monetary phenomenon: printing money to pay for expenditures devalue the currency, and sellers of goods and services increase their prices to preserve their revenue in real terms. 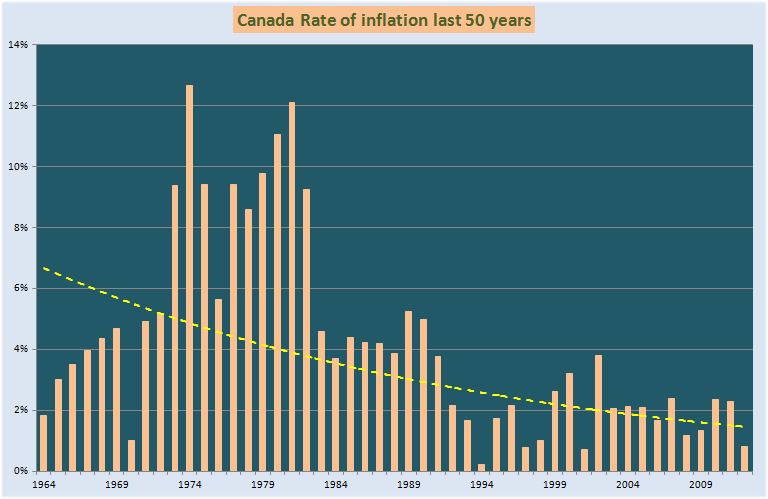 This chart shows the annual inflation rate in the last 50 years in Canada. The trend line shows a gradual decrease that levels off at around 2% in recent years. Over the last 20 years, central banks have made it a priority to control inflation and maintain it in a sweet spot and this has been largely successful in industrialized countries. The next chart shows the experience in the last 20 years, with a trend line hovering between 1.5% and 2%. This includes Governments recently running large deficits to save the economy from collapsing after the mortgage-backed securities debacle in 2008. We have become accustomed to a low-inflation environment, and seem to embrace 2% inflation and interest rates hovering at the same level. If Governments continue running high deficits unabated, there's a strong possibility that it will cause inflation to creep up to a higher level and this can have catastrophic effects. What is more likely are periods of high inflation, followed by a reversion to normal levels, with Government and central banks successfully implementing counteracting measures. 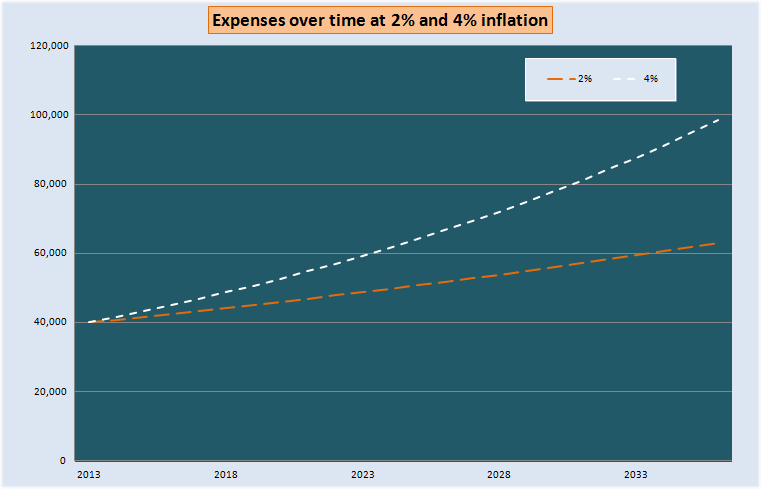 Even if inflation targets are met indefiinitely, living expenses will increase. The next two charts show the impact of inflation on a nest egg. An amount of $725,000 earning 5% per year with 2% inflation can sustain withdrawals of $40,000 in real terms (meaning that withdrawals increase by 2% each year) for about 25 years. If inflation turns out instead to be 4% per year on average, withdrawing the same amount in real terms will leave you penniless more than five years earlier. What can you do to avoid having your retirement lifestyle trimmed down by inflation? Most of us will get a portion of our retirement income protected against inflation. The Canada Pension Plan and Old Age Security are inflation-adjusted and this keeps their real values constant. Public service pensions are also tied to a cost-of-living index, typically a portion of the CPI. Private company plans that provide defined benefit pensions usually don't have mandated annual cost-of-living increases. However, they will sometimes have "ad hoc" increases based on the pension fund's fortunes, and this will help keep pace with inflation. One approach to managing inflation risk is to first take care of essential expenses by covering them with lifetime inflation-indexed sources of income. CPP and OAS can go toward essentials, with any gap remaining filled with a reliable source of income. Purchasing an annuity may be ideal as it will continue as long as you live, but systematic withdrawals from assets can also work, as long as you are conservative with your rate of returns expectations and earmark sufficient funds to cover expenses to a high age. Any other funds not earmarked to meet inflation-indexed essential expenses can then go toward discretionary expenses, such as travel and leisure, which can be fulfilled if funds are available and purchase affordable. Your lifestyle and activities will vary throughout retirement and this will impact your budget. Initially you may experience higher living expenses while most active, followed by a period with a more sedentary lifestyle, then possibly increased expenses late in life as health-related expenses and long-term care becomes a necessity. This can be taken into account when developing realistic retirement budgets with income goals tailored for each period of retirement. What inflation rate should you use for planning? Inflation cannot be ignored, factor it by planning for a retirement income goal that will increase each year by your expected rate of inflation. You received an annual pay increase to keep pace with inflation during your working years. Now you should continue this by planning for an annual retirement income increase. Historical inflation rates have been much more consistent than equity returns or even fixed income returns. They are less volatile, so the worst case scenario could be around 4.5% if you assume an expected inflation rate of 2.5%. This won't cover extreme "tail" events such as hyperinflation, but there may not be any remedy against such events other than cutting back on expenses should they occur. Can you withstand higher inflation for a sustained period? A stress test will show you. 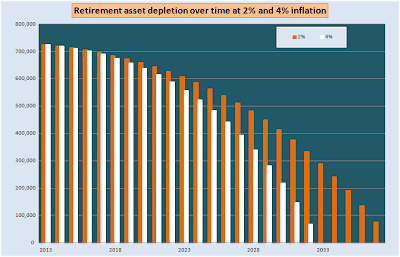 You can run your retirement projection and make the numbers work using the expected rate of inflation (e.g. 2.5% inflation), and then run the projection again with a higher rate (e.g. 4.5%). Running the numbers at this higher rate may make you bankrupt earlier than you wish. You can then apply some adaptive spending after a few years, for example by cutting back on discretionary expenses and creating a viable scenario if secular inflation sets in during your retirement. 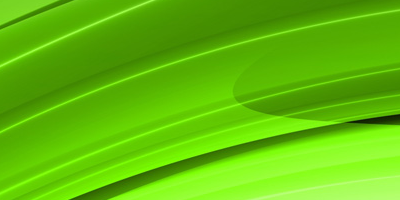 An annuity is a contract with a life insurance company to provide monthly income for life. The purchase price of the annuity contract depends on age, whether a survivor pension is payable upon death to the spouse, and rates of interest. An indexed annuity is an annuity under which payments increase gradually each year to keep up with inflation. Most Canadian insurance companies do not sell true inflation-indexed annuities, where the increases are based on changes in the CPI. Insurers sell instead annuities that increase each year by a pre-defined percentage, for example 2%. In any case, the higher the indexing, the less the monthly payout. Having an indexing feature means receiving lower initial payments that increase each year by the set percentage (e.g. 2%). Eventually, the payments catch up and surpass the amount you would have received from a level payment annuity. It can take as much as 10 years to catch up to the level payment and many more years to breakeven. In both cases, you receive the same expected value, but the pattern of payments is different. Annuities are great, but you turn over your capital in exchange for the guaranteed lifetime income. Pricing can also be an issue: how much income you get for the premium and whether you can achieve the same outcome by investing your funds and keeping your capital. Stock returns have done relatively poorly during periods of higher inflation. Inflation causes investors to demand a higher risk premium for stocks, so they're prepared to pay less, and this affects stock prices and investment returns. Chao Wei, a professor of economics at George Washington University, conducted a study on the relationship between stock returns and inflation. He found that there's strong evidence that growth stocks returns have been negatively correlated with inflation. However, value stocks are less affected, because these companies typically have more leverage and inflation reduces the real cost of their fixed-rate debt. 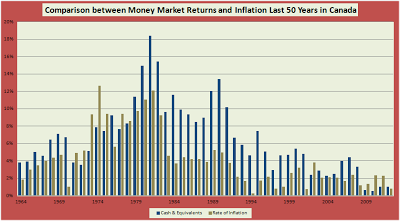 The more cash or cash equivalents you hold, the worse inflation will affect you, because fixed income returns barely exceed the inflation rate, and money market returns can actually make you lose money by paying interest at a rate that is lower than inflation. There is an exception to the fixed income category: real return bonds, which can be purchased at a low fee as an exchange-traded fund. So stocks are almost a hedge against inflation by default, and keeping a portion invested in equities can help boost your returns while keeping volatility at bay. If necessary and a possibility, two more strategies can help toward managing the inflation risk: retiring later to save and earn more to "pay" for inflation increases during retirement; and working part-time to lower withdrawals from assets during the early years, leaving more money for future higher withdrawals. RetireWare is a Web-based risk management and retirement planning software for individuals and financial advisors that's easy-to-use, full of rich visuals and comprehensive analysis. Try today and take advantage of our unconditional money-back guarantee. Know how much retirement income you can have. Build a plan and know where you stand. © 2018 by Equisoft Inc. All rights reserved. Powered by Blogger.